Would you like an honest, reliable, affordable, cleaner to clean your home? Would you like the same dedicated cleaner every week, with every single clean insured against accidental damage? Then your search is over! 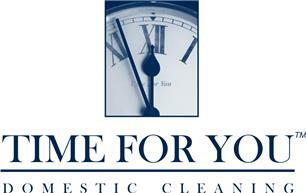 We are a premier family run domestic cleaning company and cover a significant amount of the "YO" postcode area. We specialise in the supply of only the best cleaners to clean your home, all our cleaners are police checked and interviewed in there own homes. Such is the Time For You reputation, that we are a cleaning company used by channel 5`s Cowboy Builders programme and also their documentary series Rich House Poor House. Time For You have also supported BBCs DIY SOS. We offer weekly cleans, fortnightly cleans and one off cleans, and we tailor every package to your exact needs; so if want an ironing service or housekeeping services its no problem! And if you happen to be looking for a cleaning service that we don't provide we will certainly know a local expert who does. Feel free to get in touch for an informal chat about your requirements and let us time help you get some back some time to spend with your family and friends, and do whatever else is important to you. After all time is precious so with an affordable cleaning service taking care of your home you'll have more Time For You.